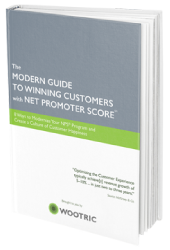 Net Promoter Score is a metric that tells you, on the whole, how willing your customers are to promote your product. Customers are asked on a scale of 1-10 how likely they would be to recommend your product; 9s and 10s are considered “promoters”, 7s and 8s are neutral, and anything below 6 is a “detractor.” Your Net Promoter Score is calculated by subtracting the number of detractors from the number of promoters and dividing by the total number of respondents. As a result, NPS is a percentage somewhere in the range of -100% (all detractors) to 100% (all promoters). Not to brag, but our NPS is high. Really high. Apple high. 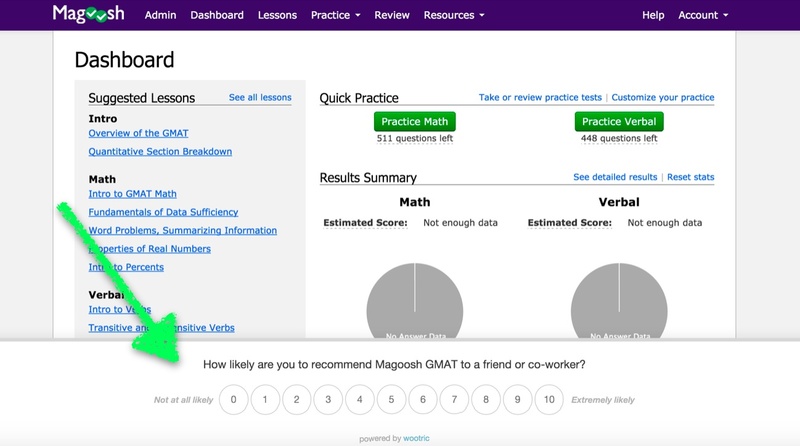 At Magoosh, NPS is one of the most important metrics we track — it helps us determine not only whether students like our customer service and user interface, but also how well our products prepare students for their exams. And most importantly it has been a reliable leading indicator of growth in word-of-mouth referrals — our largest marketing channel. When NPS is high, students talk about Magoosh and more people buy it! Historically, we’ve asked students the NPS question after they’ve taken their exams (and, importantly, seen their final scores). We do this because our products prepare students for tests, and, really, the proof is in the pudding. 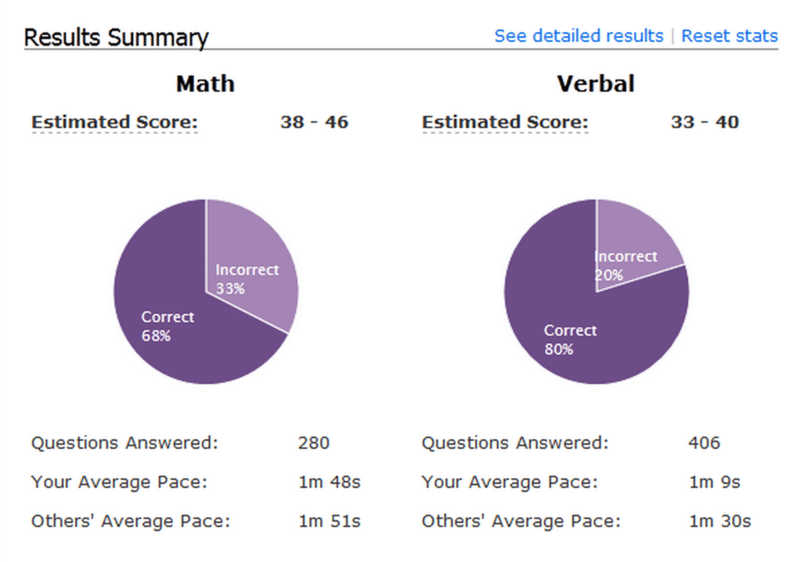 You can’t fully decide if you’re willing to recommend Magoosh for GRE prep until you’ve taken the real GRE. The downside is that it can take a while for us to see NPS change in response to product changes. Since we’re waiting until after students are done studying to survey them, it can take months between when a student sees a new feature and when she rates our product. 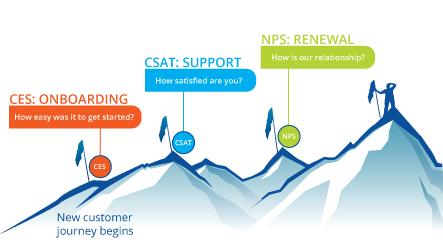 Because NPS is such an important metric to our company, we take changes very seriously. Earlier this year we saw NPS for our GMAT product dip fairly significantly. Looking into why, we discovered that several passive and detractor students were complaining that they were getting lower scores on their real GMAT than they did on their Magoosh practice tests. We determined that in order to A/B test the algorithm change, we needed a method for collecting NPS data while students were still studying — not just waiting til the end of their exam. 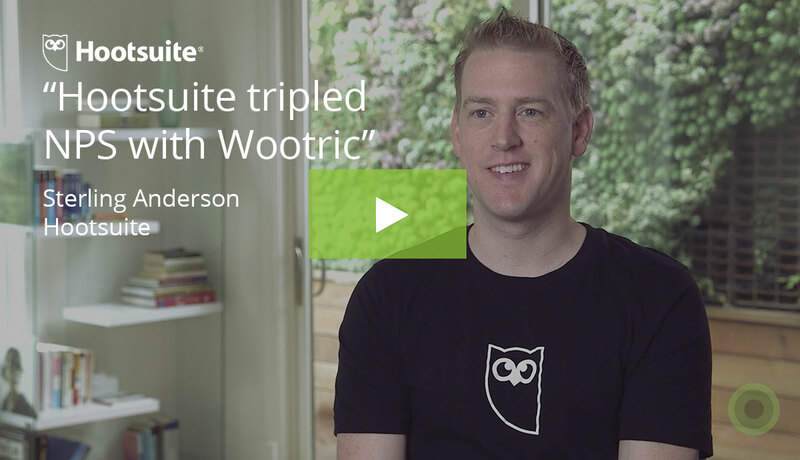 We began using a third-party tool called Wootric, which allows us to ask the NPS question in our product and analyze the data in real-time. 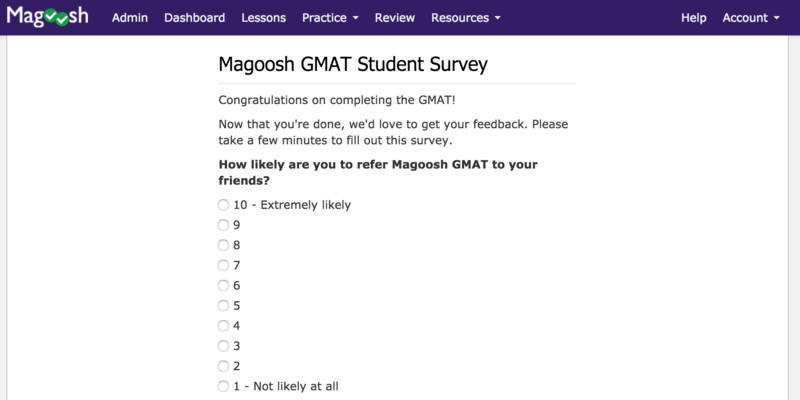 We then deployed the changed algorithm to half of our GMAT students, and we could then match the “Likely-to-refer” rating to students in the treatment and control groups. 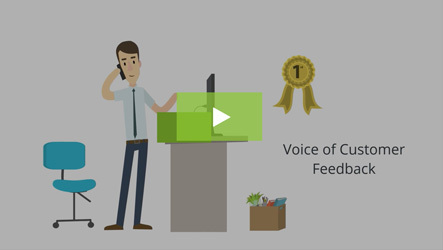 Suddenly NPS had a new use case for us — as a powerful, agile product tool. It turned out that the improved algorithm did not affect student satisfaction while studying with Magoosh — NPS from both student groups was identical. Knowing this allowed us to roll the change out to all students more quickly. We were also able to track the students in the A/B test over time, and have seen that post-exam NPS for students in the treatment group is a full nine points higher than for the control. Our goal is always to provide our students with the best possible test prep experience. But since we’re not able to read minds, it’s not always easy to know if what we’re doing is actually providing a great experience. It’s easy to think of customer acquisition as a funnel, and to wrap our brains around how to A/B test to optimize that funnel. 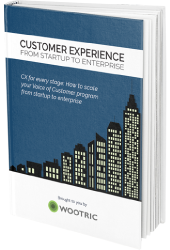 But what doesn’t come easily (at least for most startups — and definitely not for Magoosh, at first) is to think of current customers as part of an optimizable funnel too.